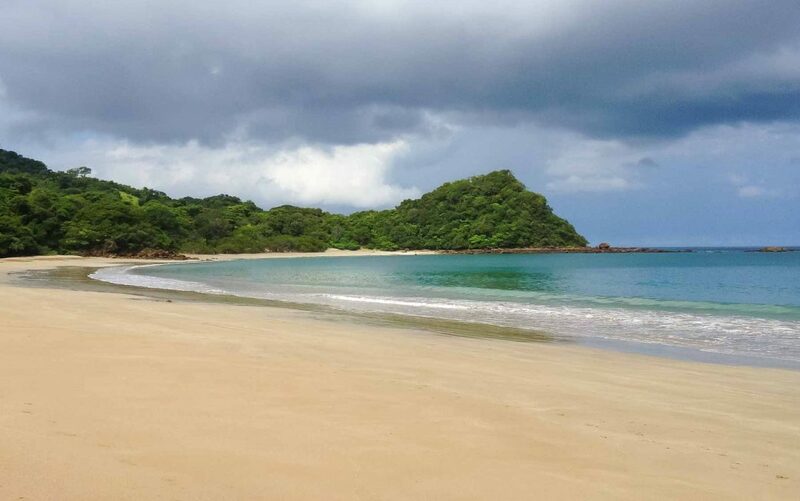 Many travelers from all over the world agree that Northern Guanacaste, Costa Rica is home to some really amazing beaches. 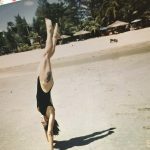 Some of the more advertised and visited beaches are great for those traveling with a family or who want a more all-inclusive type experience with western style amenities, cuisine and services. But what about those adventurers looking to get away from it all? Those who are not afraid to shift into 4x4 and put their wheels in the mud? Those looking to stand on a beach with just one, two or maybe even zero fellow human beings and would rather share the most natural of moments with monkeys, birds, iguanas and crabs? The truth is that Guanacaste has lots to offer every type of traveler and in my 4 years of living in this area I have found some great things to enjoy about both the popular and secluded destinations. 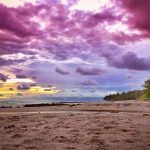 Popular and highly developed beach towns such as Playas del Coco and Tamarindo are wonderful for families who want the comforts of home but are looking to trade the shade of an oak or pine for that of a tall swaying palm. Playas del Coco is well known for it’s good scuba diving, nightlife and beachfront park which is an absolutely wonderful location to spend the day fishing, playing basketball, swimming or just laying in the grass. In the area of Playas del Coco you will also find Playa Ocotal, an inviting beach with dark black volcanic sands and lighter tan sands near both ends of the beach. I can honestly say that for its ease of arrival and beauty, Playa Ocotal is one of my favorites. North of Playas del Coco is Playa Hermosa, a typical Guanacaste “cove” beach that is lined with some great beachfront bars, hotels and restaurants for varying budgets. 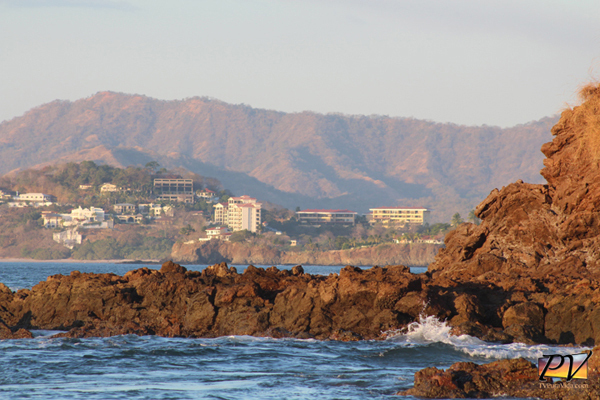 The Tamarindo area is well known for it’s surfing. Tamarindo itself is a great place to learn how to maneuver the board. 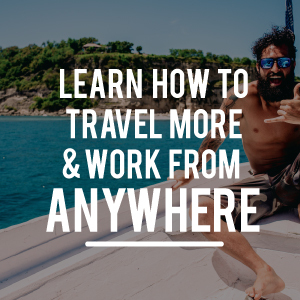 This town has a plethora of hotels and restaurants, which makes for a comfortable travel experience and one of the best locations to make your home base if you are planning a surf adventure. Across Tamarindo’s estuary is Playa Grande, a faster surf break for more experienced surfers just like the locations south of Tamarindo like Playa Negra and Playa Avellanas (which means Hazelnut Beach in English). Also in the area I recommend Playa Conchal and Playa Flamingo. Both of these beaches are known for consistently blue waters. Playa Flamingo is a small beach with a small resort type community nearby and Conchal is famous for its unique sand made of broken shells. Don’t worry about cutting your feet – these shells have been smoothed over the years. Then we arrive at the other end of the spectrum, the hidden gems littered along the volcano coastline. If you’re on your way to these beaches you should probably check your tire pressure and definitely have confidence in your 4x4 skills because these roads (if they qualify as such) are not for the faint of heart or those with lower back problems. Playa Iguanita is located just 40 minutes from Liberia’s international airport on the road to Peninsula Papagayo Rt (253). After turning onto the dirt road where the sign indicates, the first 4 or 5 kilometers aren’t great but also aren’t terrible. Once you arrive at the downhill turn you may be in for a surprise. I have seen many small rental cars abandoned here over the years. But as long as you have your 4x4 you shouldn’t have much of a problem. Once to the bottom of the hill you will pass through a stream or two just before finally reaching Playa Iguanita, which is also a wildlife refuge (no fishing allowed). Most people’s favorite thing about this beach is how calm its waters tend to remain no matter what the open oceans conditions are. These waters are protected to the west by the Papagayo peninsula, which encloses the water into Bahia Culebra, which means Snake Bay. Though I’ve still never seen a snake at Playa Iguanita, the monkeys are abundant and the snorkeling can get very interesting. I have seen tiny neon blue fish, eagle rays and 10kg Pampano on the same trip! Further north up Rt 253 you’ll also find Playa Cabuyal which is hands down one of the most beautiful beaches in the area. Playa Cabuyal’s road isn’t as bad as the road to Iguanita but the same rules apply. 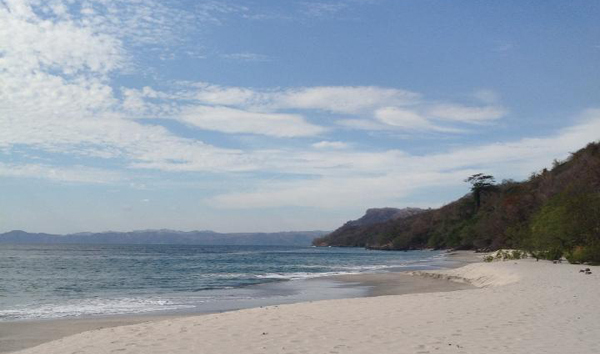 Cabuyal’s blue sea reaches out to touch the fine white sands, which are protected by the dry tropical forest. What a natural paradise! The southern end of Cabuyal is great for fishing, just near the entrance to the estuary. 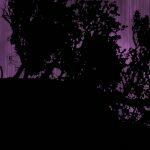 I have seen some really strange and beautiful birds near the end of the northern side. Now we get to the really fun stuff, what about the beaches that not even your 4x4 can get to? Some of the most sought after beaches are only accessible by boat! What a great day trip to travel the marvelous coast en route to these wild beaches where you are usually going to be the only humans in sight. Playa Huevos is just a 25-minute boat ride from Playas del Coco and worth the trip anytime, but the real treasure is only accessible at low tide when you can explore a small sea cave that runs under the hillside and let’s you out the other side to a perspective of the rock formations and swirling tidal pools that would otherwise be extremely hard to view. Playa Huevos also has a nice trail that leads to a lookout on top of the hill. Another area paradise is Playa Jicaro, which like Playa Iguanita is located in the Bahia Culebra and home to very calm pacific waters. Playa Jicaro was created by an old coral reef that is home to many pufferfish, triggerfish, sea stars and urchins. Bringing a hibachi and grilling to the sounds of parrots and monkeys has been an experience that I will never forget. I’ve heard tourists say that they expected Costa Rica to be more natural and wild. My response to them is to do some research, leave the resort behind, prepare accordingly and enjoy some of the finest beaches in the world! Share your Guanacaste experience below in the comments! Learn more here or design your own! For 8 glorious days in May, I was fortunate enough to experience Playa Hermosa and have of course, fallen in love! 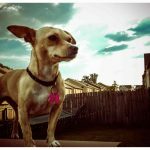 My friend won a week stay at Villas Sol and fortunately for me, her husband wasn’t able to make the trip. We stayed in an individually owned condo on property with all the amenities of the hotel. The pool and pool staff were fabulous, friendly and more than helpful as we explored Northern Guanacaste. Our adventures took us to the following places that I would highly recommend Ginger (the tree fort like tapas restaurant experience). The food was excellent and being a foodie my standards are pretty high. We ventured to Witches Rock canopy tour, RIncon de la VIeja for the horseback ride and hike, and Marlin Del Ray catamaran sunset tour that departed from Coco beach. We befriend a answer driver/tour guide/english speaking (although my friend knows enough Spanish to be dangerous, it was very helpful) Mario Tours, I need to give him a plug because he was great, (506) 8812-3492. Tell him Kristina and Gloria sent you. Coco beach was another great place for dinner and of course, the Lizard Lounge for great dancing! Our new favorite Costa Rican cocktail is the Chili Guaro as you walk through the door of the Lizard Lounge (Villas Sol pool bar made them too). I can’t say enough about the people of Costa Rica, I can understand why you moved there Erin. If I didn’t have responsibilities back in CT, I don’t think I would have left. The beaches were clean and at first sight were not what we were expecting. I think we thought “Costa Rica, tropical, blue water, white sand having traveled mostly to the Caribbean and Mexico”. So we were a little surprised by the black/gray sand. 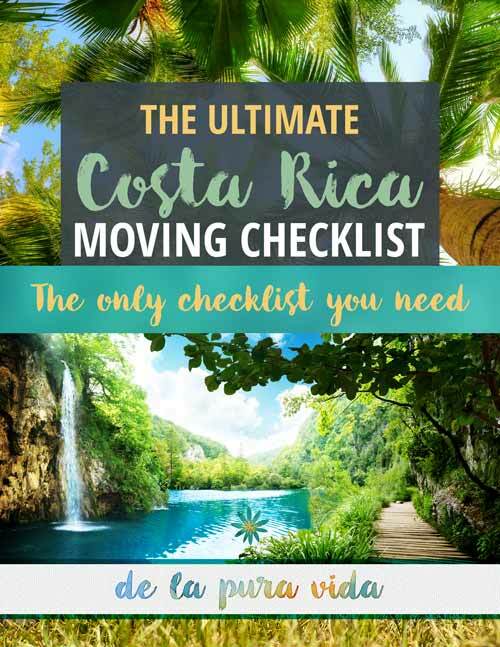 However, the overall experience of Costa Rica far outweighed our beach expectations. I will, by far, return to Costa Rica as soon as I am able. The one common compliment that was heard from all foreigners that we met was how warm, friendly and true hearted the natives are. I completely agree! Chili guaro is my favorite shot! Its making an appearance in a post I am working on now and I even dressed up like a chili guaro shot for Halloween last year. Thanks for sharing your experience – cheers! 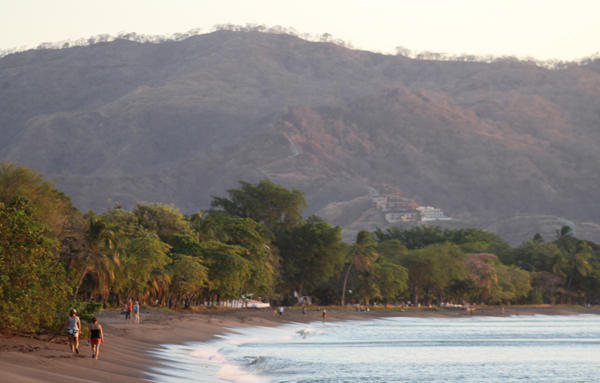 Going up to Tamarindo in a couple weeks, when my parents come to visit us here in Costa Rica. I need to get my husband to read this, he is very into surfing and I think he is going to have a blast. Maybe I will even try to learn how to surf. I’ve heard awesome things about Witch’s Rock Surf Camp in Tamarindo. I’ve never gone myself because I’m either a huge wuss or just don’t care that much about surfing…still trying to suss that one out. 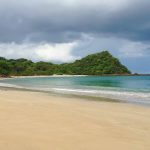 Great blog, we just started our own, we live in Guanacaste and we just posted about another hidden beach called playa penca. The beaches in Costa Rica are amazing! On our honeymoon, we stayed at a condo on Playa Flamingo and fell in love with it. A year later we bought our house on Playa Conchal – the west end where a busy time is 1 or 2 families. In less than an hour drive from our house there is at least 13 beaches you can drive to. We moved down to CR in March and each beach day we decide what we want to do and hit the appropriate beach. Playa Conchal for snorkeling or stand up paddleboarding. Los Piratos (Pirate Bay) for the tidal pools. At low tide you can walk out to and around one of the atolls and see the urchins, starfish, crabs, etc. Playa Grande for boogie boarding. We don’t go straight down by the restaurants and hotels where they want to charge for parking, we head west past all of the houses it will turn into a dirt road with a sign for the turtle park. There are often only a couple other local families down there. Mid rising tide is the best time. The beautiful soft sand beach stretches gently out into the water. My father, who doesn’t swim, loves boogie boarding there because he doesn’t need to go in past his thighs and get long 50 – 100 foot runs. The beach is also great for collecting shells. I haven’t learned to surf yet so for now I like to sit and watch the surfers at Playa Avellanas while slurping smoothies at Lola’s. There is something so refreshing about lazing and watching the day there. At the end of the day… I haven’t been to one beach with a bad sunset! 🙂 I LOVE hanging out at Lola’s and watching the surfers! Hey Erin, the goat is actually a “she” and the thing hanging down in question would be one of her teets. Never have liked goat’s milk, but that’s where you’d get it fresh from the factory. Oops, wrong story. Apply comment to Photos from your treehouse. Love Playa Cabuyal! And I keep marveling at that picture of the lizard on your homepage. Absolutely perfect exposure!!! Excellent article. In early 2012 we took an exploratory trip from the States and visited Panama, Coco, Hermosa and Conchal. We have since moved to the Central Valley and plan to take a week in Guanacaste soon. The off the beaten path destinations listed here are perfect for our get away. I’ve only been to Tamarindo but now I really want to get back and explore some more beaches. Pictures look stunning and as you mentioned it is very quiet as well. I just want to get lost in silence. Beautiful beach. I am just launching a basically new destination called Cayo Santa Maria. Beach is excellent here and hotels are not bad. Check it out! Great website, with lots of information 🙂 We are heading to the Playa del Potrero area for 2 weeks in March. Travelling with myself and mother, just wondering on safety in the area for 2 women? 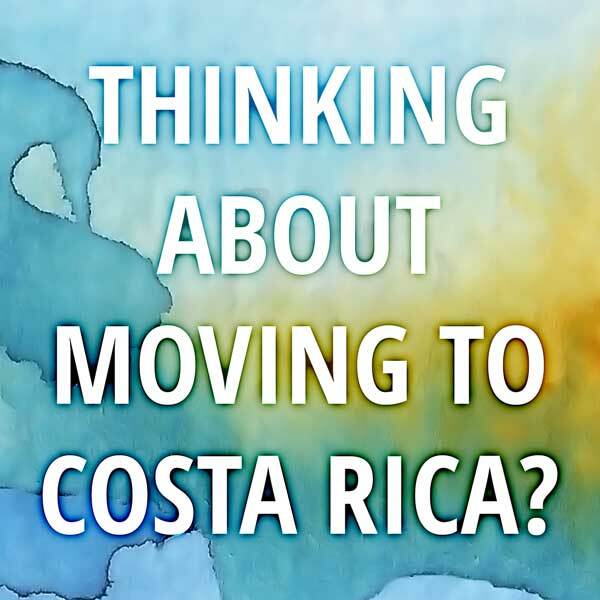 As we are super excited to check out Costa Rica, possibly looking at staying long term in the future.